They do! 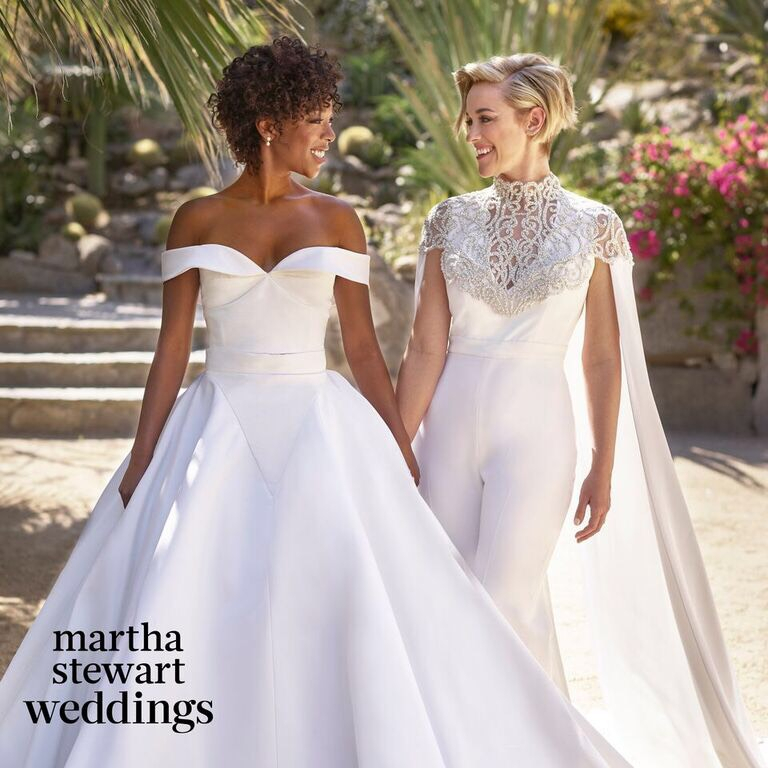 Orange Is the New Black star Samira Wiley married her fiancée, series writer Lauren Morelli, in a romantic celebration in Palm Springs, California, on Saturday, March 25, Martha Stewart Weddings reports. Wiley, who plays Poussey on the popular Netflix series, and Morelli planned a fun day for friends and family that included a confetti theme in a nod to their love for Funfetti cake and a walk up the aisle at their outdoor ceremony to Montell Jordan’s “This Is How We Do It,” Martha Stewart Weddings reports. The couple, who got engaged in Palm Springs in October 2016, stunned in custom Christian Siriano outfits — Wiley, 29, in an off-the-shoulder white dress with a full skirt, and Morelli in a chic pantsuit that featured an elaborately decorated bodice and long, flowing cape. After the ceremony, the newlyweds made a joyful entrance into the reception to Justin Bieber’s “Baby.” The room was decorated with colorful garlands and floral-and-citrus centerpieces as the guests dined on graphic black-and-white plates and mismatched glassware. Wiley changed her outfit before hitting the dance floor, and the pair’s first dance was introduced amid an explosion of confetti. Morelli, who came out in an Identities.Mic essay in May 2014 titled “While Writing for ‘Orange Is the New Black,’ I Realized I Am Gay,” previously revealed that her sexuality was the reason she divorced her then-husband, Steve Basilone, in 2014 after two years of marriage. She and Wiley went public with their relationship in September that year. All the pics and details of the couple’s wedding will be featured in the summer issue of Martha Stewart Weddings, on newsstands June 5.